Britain was once the bastion of horror flicks thanks largely to the cult and much emulated work of Hammer Film Productions in the fifties and sixties. The last real British vampire flick I can recall was Lesbian Vampire Killers and something rather special is needed to remove the tarnish of that piece of celluloid. 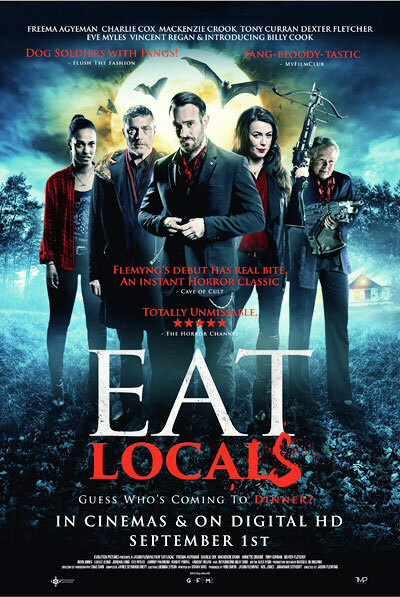 Perhaps ‘Eat Locals’ is just that, with the talent of 2017, from Charlie Cox and Freema Agyemang, currently stars in high profile Netflix shows, through to more common a garden Brits of TV and Movieland from the last couple of decades, Tony Curran, Mackenzie Crook, Ruth Jones and I didn’t quite believe it when I saw it – Annette Crosbie, TV’s Mrs Victor Meldrew. Some of them are in it for mere minutes, a mere day shoot cameo, a favour and piece of goodwill to fellow actor turned director Jason Flemyng. A good friend from his Lock Stock and Guy Richie days, by the name of Jason Statham, also helps him out in the role of ‘Fight Director’. Finally from the other side of the page it has great writing pedigree from Danny King, who wrote a gem of a BBC comedy in ‘Thieves Like Us’ a short decade ago, and followed that up with 2012’s ‘Wild Bill’. The premise in a nutshell is that a group of vampire gang leaders come together for the first time in decades to negotiate changes to their ‘catch’ numbers. Slightly hack handedly it tries to bring modern day political analogies from fishing quotas, immigration and all things EU and Brexit into the mix alongside a classic vampire versus human romp. There was also a great chasm of a plot hole in respect of the thermal imaging used within the piece. It did however fare slightly better when theorising what life might be like if vampires were real in 2017. Soon enough the story unfolds in such a way that the classic scenario of good versus evil is turned on its head. The star names all put in more than credible performances, Annette Crosbie clearly enjoying herself playing somewhat against type, but perhaps the stars of the show were not the bigger names within the cast, but two of the more interesting protagonists in the piece. Robert Portal gives a bravado performance as Bingham showing great nuance within the role he portrays, and Billy Cook, as Sebastian, who has some of the better lines displaying great wit and charm in the film’s lighter moments. The blood and gore moments when they do come are very tastefully done and this is very much a quality addition to the comedy vampire genre, filmed with great skill and promise, the opening scene in particular impressed. 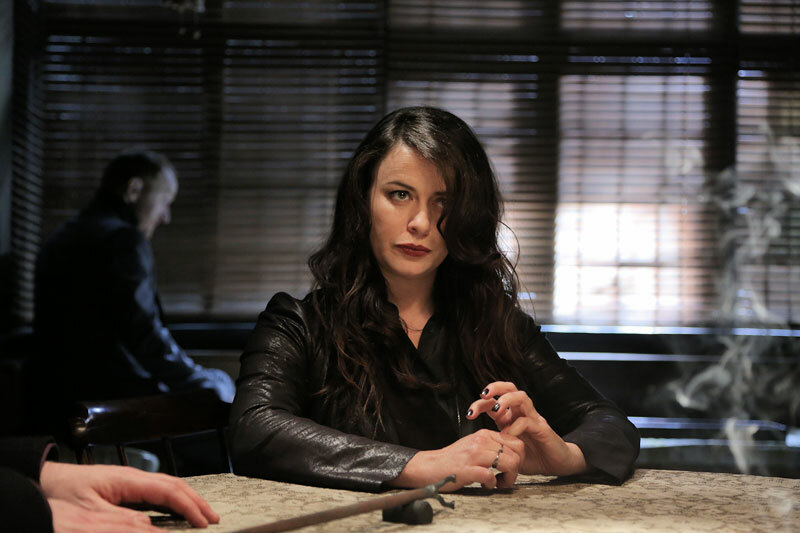 My loyalty to which side of characters I was on changed on more than a couple of occasions, as this vampire romp ratcheted up the gears to a lovely little conclusion. They may have missed a trick by calling it ‘Eat Locals’ though, unless of course they plan a prequel piece. I very much look forward to what Mr Flemyng might be able to do with a bigger budget which he surely deserves on the basis of this debut offering.